Hall of Fame Inductees Judy and Jim Walchuk release their new video promoting PAL, the Performing Arts Lodge. 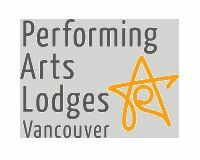 PAL Vancouver’s mission is to provide longstanding members of Vancouver’s performing arts professions with affordable housing within a vibrant and creative community setting. Many of the residents in the PAL are BC Entertainment Hall of Fame inductees and it really is a great home for aging member of the entertainment industry.